“What a day, what a day. We had an exciting start and we can’t forget that,” said Mark Hoashi in a voice of defeat. “Chuck (Dempsey) and I waited it out until a couple hours ago, yea it’s been a long day, actually 3 weeks, but this is how it ended.” In this year’s 447 mile 46th Tecate SCORE Baja 500, 126 finished of the 232 to start, a 54% finish rate. Specifically in the Trophy Spec class, 4 finished of the 10 starters. Team BaDoink Trophy Spec #869 took the 60th green flag on Saturday June 7th, starting 10th in their Trophy Truck Spec Class. “This has been an eye opening experience. We watched all kinds of GoPro Videos and there is nothing that can show the detail and difficulty of what we actually had to learn before racing. We have learned so much in the last couple weeks it is amazing,” said Tim Whale, driver of record. 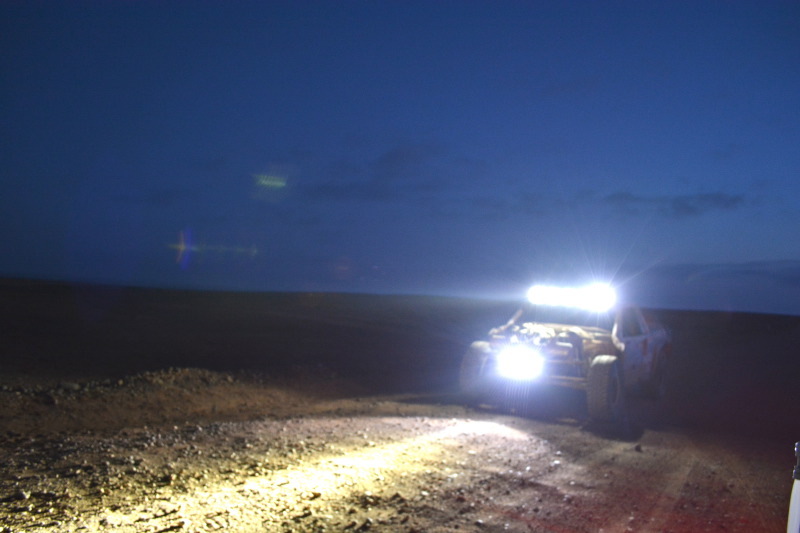 Three weeks ago Tim and Mark didn’t have any understanding of the dynamics of an off-road vehicle or the Baja desert. 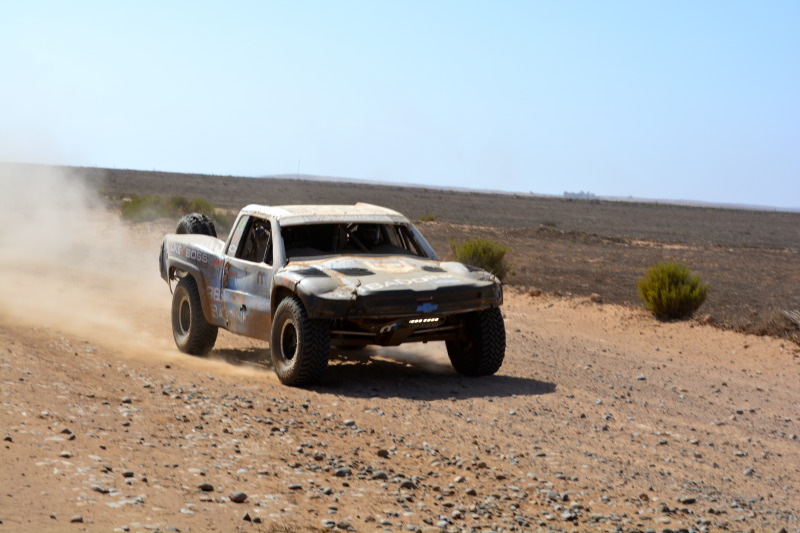 After an intensive two weeks of driving between Driven Experiences training facility at Gateway Canyons Resort in Colorado, the deserts of Barstow California and a full week in Baja pre-running, the team knew the tool box was loaded and it was up to them to execute. Although nothing except experience can prepare you for the ride of a lifetime, even offroad professionals don’t finish this grueling race. Tim began looking for a program like Driven Experiences offers years ago. Recently he saw a GoPro video that featured the race truck, he called Driven Experience to see how the program worked. Talking to Andrew Hendricks and Jeff Humberson they scheduled the Baja 500 opportunity led by Chuck Dempsey. Tim, traveling from London, and Mark, traveling from San Francisco, arrived in Colorado with high expectations yet no idea how the team would get them to the finish line. With the help of their sponsors Well Hello!, Like a Boss, Media Reps, Mojo Host, Gilad Desert Produce Ltd and J-Pop Music Group, Team BaDoink has confidence that the finish line was in sight. 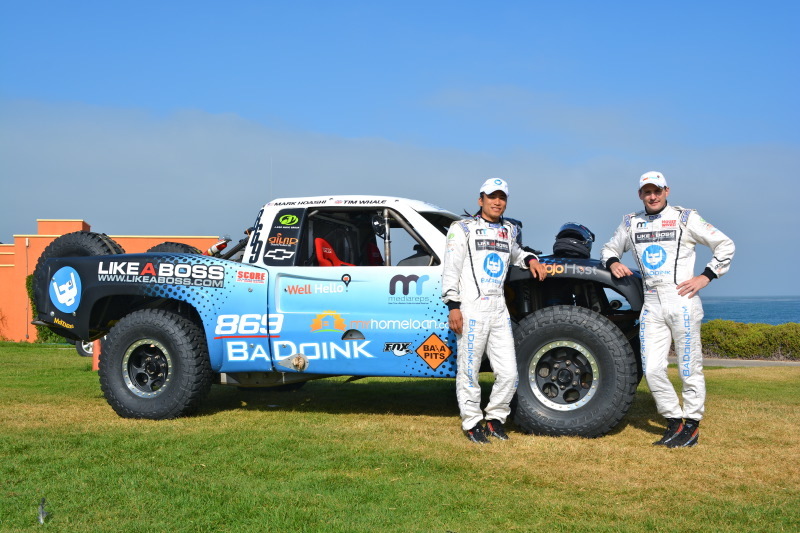 Team BaDoink is already talking about a rematch with Baja coming up soon. Watch for news on upcoming opportunities.